CherrySue, Doin' the Do: Mid-term Road Trip in County Clare! 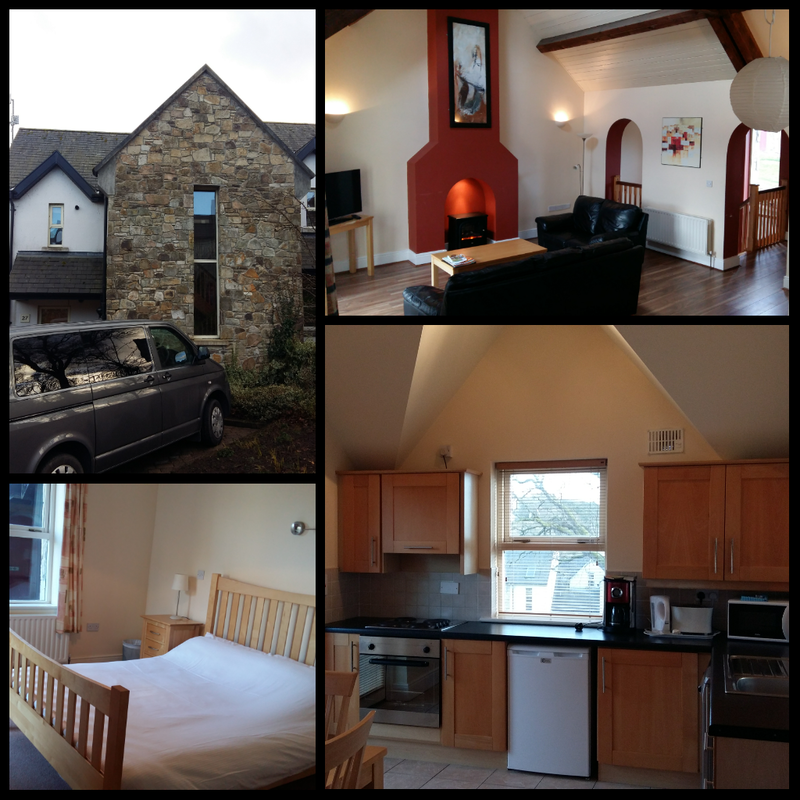 The accommodation was a 3 bed house that sleeps 6 so it was perfect for us as my husband wouldn’t be coming along with us. We received a lovely warm welcome from the two John’s when we arrived at Mountshannon including a tour of the house we’d be staying in and instructions for using the heating. The houses are completed to a very high spec with all mod cons throughout. There are three bedrooms on the ground floor with an open plan living area upstairs. During summer months it would be fabulous as there’s an outdoor seating area just off the sitting room with stairs that lead down to an enclosed decked area. For me the only negative thing I found about the house was that with the living area upstairs it was difficult to keep an eye on my 2 year old in case he’d go near the stairs while I was making breakfast. 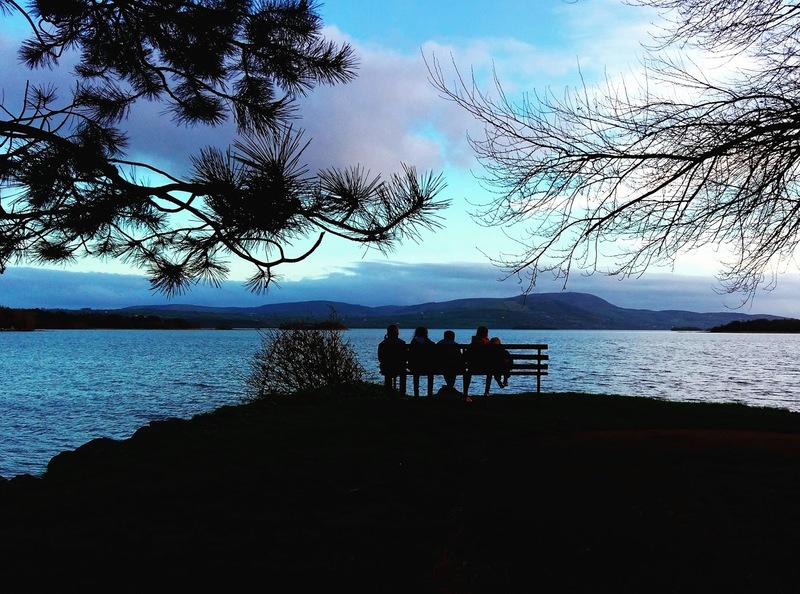 Located on the western shore of Lough Derg just north of Killaloe it’s an ideal base to explore the best of what County Clare and the Shannon Region has to offer. I paid €159 for 5 nights via pigsback.com but they regularly have the same deal on their own website. In the centre of Mountshannon there’s a lovely playground and a maze depicting the religious beliefs in the area over the centuries. 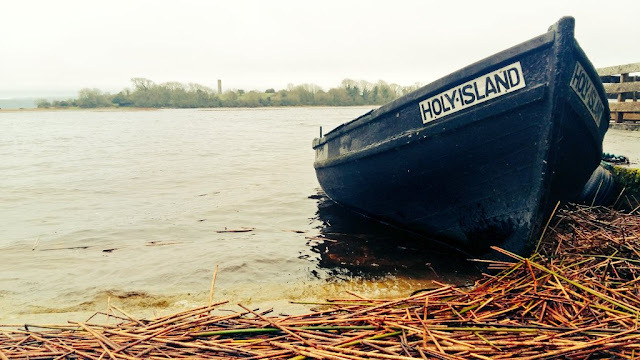 Holy Island can be seen from the shores of Lough Derg, the island was home to monastic settlements dating as far back as 520AD. These monasteries were destroyed by the Vikings during numerous attacks but rebuilt by the legendary High King of Ireland Brian Boru. I brought my children to see these sights from a historical point of view, not for religious reasons. The whole area is steeped in history, just 20 minutes from Mountshannon is Killaloe the birth/home place of King Brian Boru, unfortunately the heritage centre was closed as it was out of season. We visited St Cronan’s church in Tuamgraney said to be the oldest church in continuous use in Ireland, nowadays it’s a tourist information office. King Brian Boru restored the church in 1012 so it’s the only building still in use that was frequented by the High King, my kids loved that fact as they have just learned about the Battle of Clontarf (1014) in which King Brian Boru defeated the Vikings but ultimately lost his life. 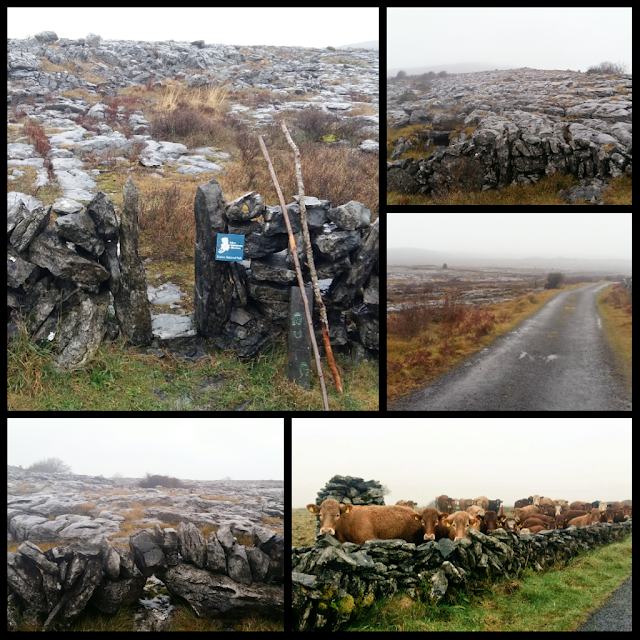 The Burren (meaning great rock) National Park is an area of outstanding natural beauty located just under an hours’ drive from Mountshannon. Three of my kids are learning about the flora & fauna of this unique limestone landscape in school so our visit tied in perfectly with their curriculum. We didn’t get to visit the Burren Centre as it opens for the season in March. BOOK HERE. 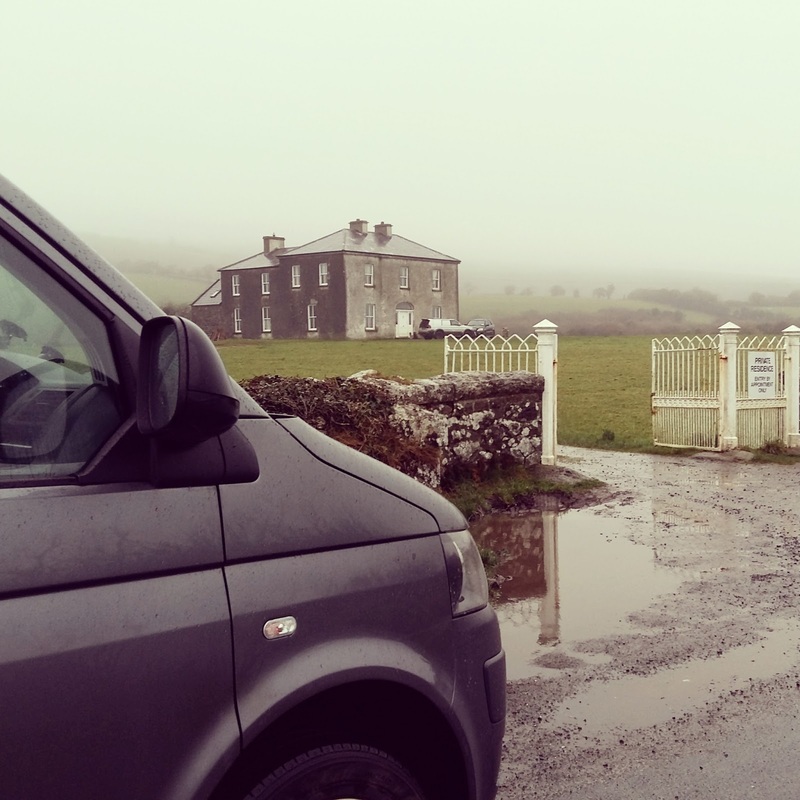 No visit to the Burren would be complete without a visit to Fr Ted’s House! It was only when I was looking online for directions on the day of our visit did I realise you can have tea at the parochial house. The McCormack family run an organic farm and use fresh organic ingredients to make what looks like a delicious afternoon tea priced at €10 for adults and €8 for children but it must be booked in advance. For further information see their website HERE. Nestled in the side of a mountain in the heart of the Burren is Aillwee (meaning yellow cliff) Cave. Tours are led by expert guides who regale you with stories and the history of the cave as you venture underground. The cave is not suitable for buggies as there are some steps during the 30 minute tour so I left the buggy at reception. My kids absolutely loved it and not once did they get nervous or afraid that they were in a cave even when the lights were turned out by Liz our tour guide as she continued to intrigue them with facts about the cave in the dark. 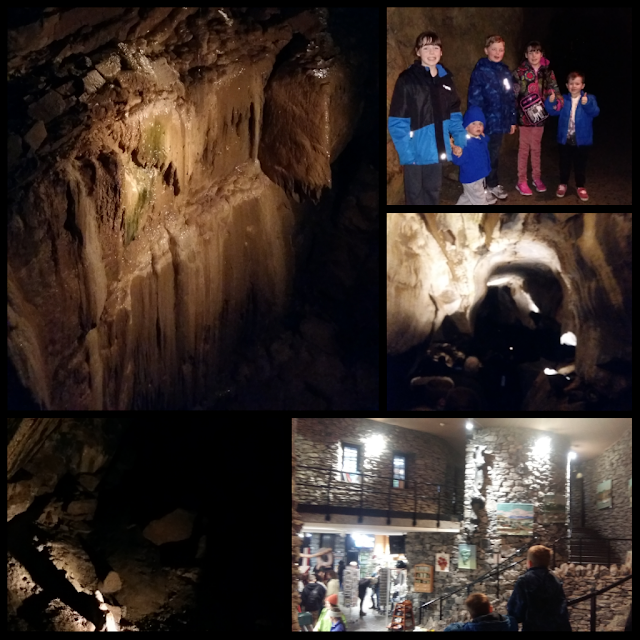 Tour highlights were getting to see stalactites & stalagmites up close. Feeling the spray from an underground waterfall and the best part for my daughter Aoife were mounds left by brown bears from when they used to hibernate in the cave over 1,000 years ago. The girls have ZERO fear - NONE! After we finished our stroll around the cave we bought some souvenirs in the gift shop before we drove back down the mountainside to visit the Birds of Prey Centre. Orla was really looking forward to this and she wasn’t disappointed as we got to see three different birds in flight. 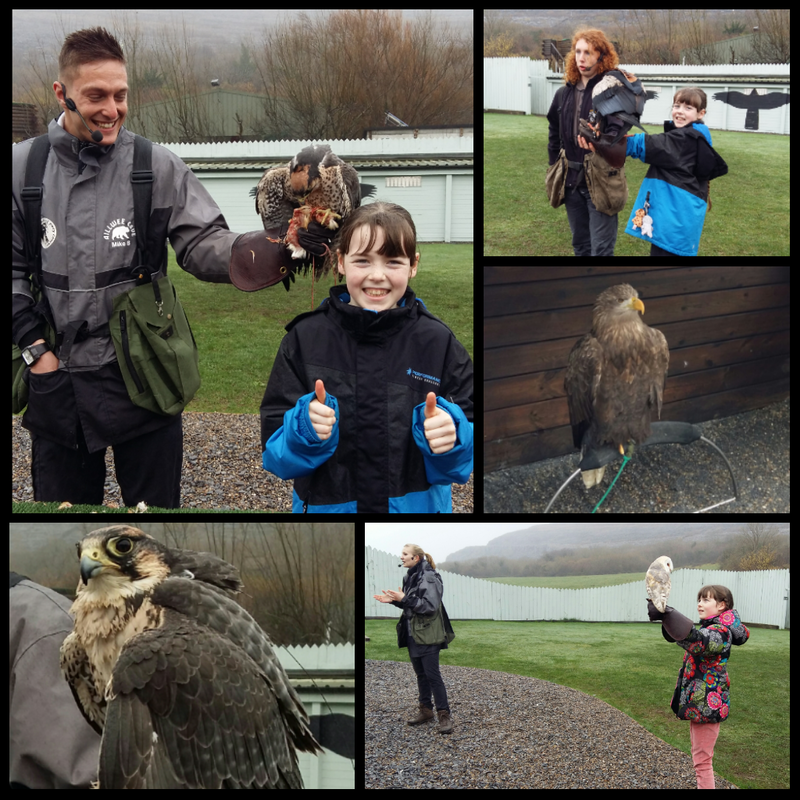 She was delighted to see that her favourite bird Jessie the barn owl was not only still there but he was one of the birds chosen to be showcased during our visit. Each member of staff was absolutely fantastic with her and took the time to answer all of her questions. The onsite gift shop has some lovely stuffed toy birds for sale at very reasonable prices. Orla was delighted to find that she had enough pocket money to buy an owl and a white tailed eagle! Our tour was complimentary; the best place to buy tickets is in advance online for the biggest savings. Combination tickets for both the Aillwee Cave and the Birds of Prey Centre are priced at €16 for adults and €9 for children, discounted family tickets are also available, Under 5’s are admitted free of charge BOOK HERE. 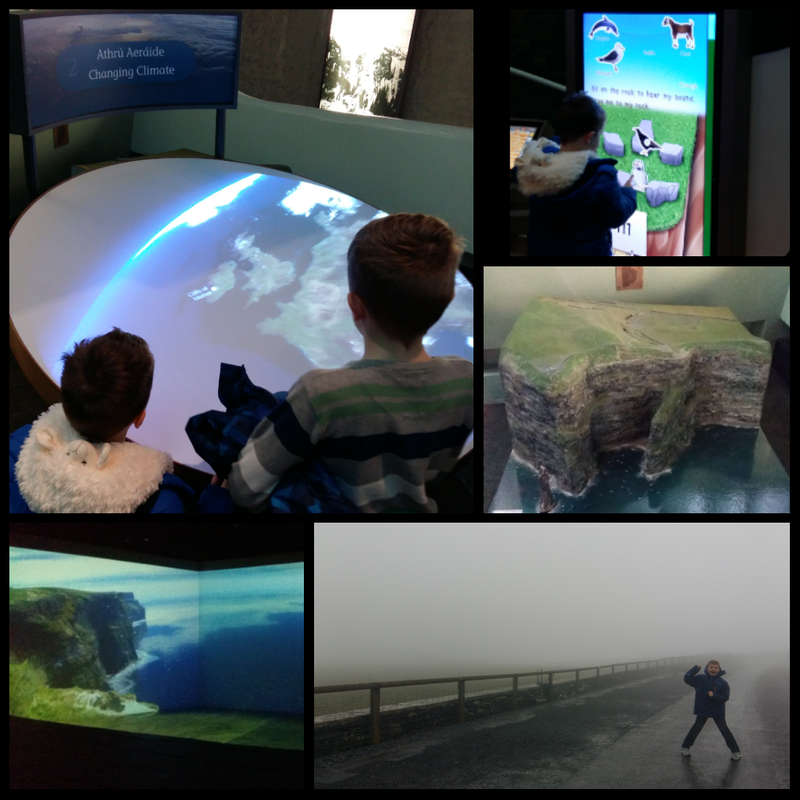 At first I was nervous about bringing 5 children to the Cliffs of Moher on my own but then it dawned on me that we don’t actually have to go out to the edge! I needn’t have worried though because by the time we got there a fog had descended so we could barely see two foot in front of us. Typical unpredictable Irish weather, ah I didn’t mind too much as I still got to bring them into the wonderful visitor centre where my sheep mad 5 year old Cillian bought a huge fluffy toy sheep which he hasn’t put down since. The visit cost me just €6 for car parking and access to the visitor centre as children under the age of 16 are admitted free of charge. BOOK HERE. Unfortunately that’s where our road trip in County Clare was cut short as two of my children fell ill. It’s really no fun when you’re sick on holiday so the best course of action was to pack up and go home early. I had lots more on our itinerary for the week such as a cruise with Killaloe River Cruises, a trip to Bunratty Castle and King John’s Castle among others so this road trip will most definitely be continued at a later date. Have you visited any of the places I’ve mentioned? What did you think? Do you have any recommendations for when we return?